No matter how long you stay with us – our Campingsite offers erverything you need for a perfect camping holiday! If you like to relax und boost your health we recommend our special offer “Camping and curative treatment”. 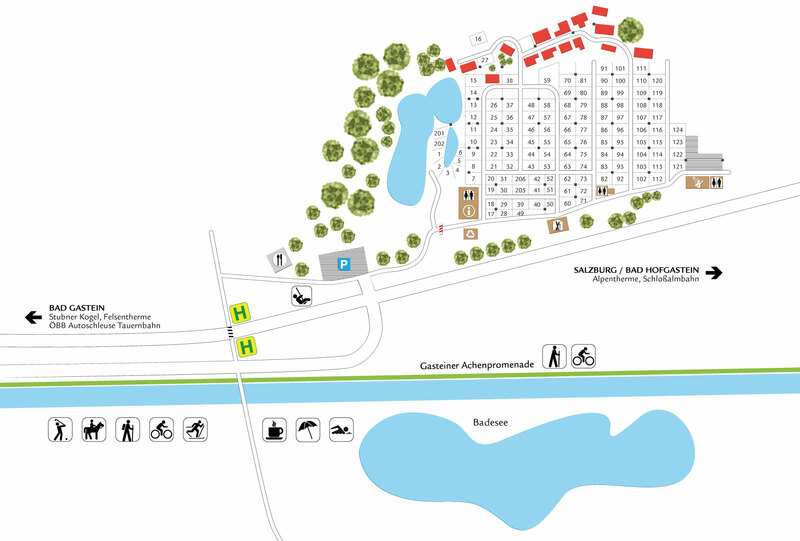 Our campingsite-pitches range from 100 to 120 m². Electrical connection possibility as well as gas and central water supply. All prices per day, incl. use of all sanitary facilities, connection and garbage fees.